Architect Fin is a specialist Architectural office that focuses on designing contemporary renovations for older houses without losing their existing character. 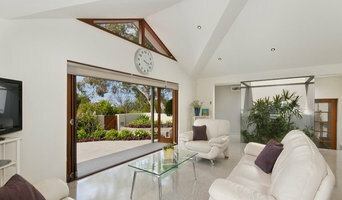 We also design new houses, apartments and commercial projects on request. We are highly passionate about the renovation of older style houses including terraces, semi’s and free-standing dwellings, such as Californian Bungalows and Queenslanders. We aim to create contemporary living environments which complement existing heritage characteristics. The office is lead by Fin Murray, who has over 16 years experience as an Architect and Interior Designer across a range of residential and commercial projects both locally and overseas. Fin has also previously worked as a Design Manager for retail landlords AMP Capital and Colonial First State as well as Shanghai based residential property developer SPG Land. Working in Australia in the region of Byron Bay, the Gold Coast, and Brisbane, Built-Environment Practice is an ideas-driven studio dedicated to exploring the intersection of environment, technology, and culture via architectural space and material. 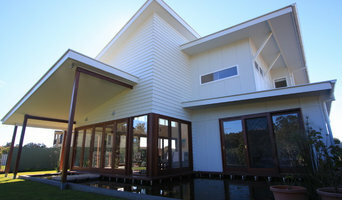 Oceanarc Architects is located in Byron Bay, at the very eastern edge of Australia, here we live, we work and we play. The ocean is our metaphor, one of immersion, flow, vitality and mystery. We love our environment, we respect our heritage and value community. We promote architecture that engages, sustains and enriches life. Landscape design firm specializing in country gardens, tropical retreats and sustainable landscaping including food producing gardens and wildlife habitat. 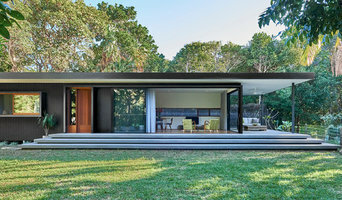 Barker Studio is an architects practice in the Northern Rivers of NSW, Australia. We service the local areas including Byron Bay, Lennox Head, Ballina, Lismore, Evans Head, Yamba and the surrounding suburbs. We are also traveling nationally for various projects. We are a design based studio focused on architecture and the ability it has to affect our lives through the everyday interactions that take place in them. We believe in a responsibility to the natural environment; it provides us with the resources and geography to facilitate our built environments. It’s our responsibility to ensure best practice sustainability in the materials we specify, the embodied energy consumed and the ecological footprint of the finished product from the day of completion to the day of demolition and beyond. We believe this will better serve you and your project now and in the future. We believe that through intelligent, informed design, we can provide a space that is not only true to its place but also sympathetic to the future and for the life of the project. ITA was formed as a design and project implementation studio in Byron Bay in 2009. ITA is headed up by Ian Traill with over 30 years experience in the architectural and construction industry. Prior to this Ian was involved in working overseas for development companies on projects in Dubai, London and Bahrain and prior to that a variety of architectural and development groups. ITA works across Australia and abroad on a range of project commissions in tourism, hotel &amp; resorts, residential and commercial. ITA is currently undertaking work in Australia, primarily in Byron Bay and currently seeking other opportunities in Asia. ITA consists of a small team of dedicated, experienced and creative personnel, who are committed to producing intelligent, quality designs that are carefully detailed and constructed with care. We utilise all design tools to help convey our designs to our client’s perception of ideas . These include physical models, perspectives, computer visualisations to ensure the contextural responses are presented elegantly and purposefully. Principal Architect, Alan Logan, is a registered architect with long established experience working within the regional area of Byron Bay and the Northern Rivers for 25 years. He is a member of the Australian Institute of Architects. 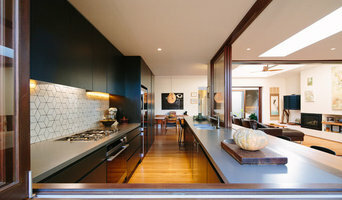 Logan Architecture employs a number of architects, designers and technical staff and has extensive experience in a variety of commercial and residential projects. Architectural commissions by the practice include commercial office and retail buildings, multi-residential developments, tourism and hospitality projects, aged care buildings and a diverse range of residential projects. The practice lends its experience to optimising effective outcomes for clients and stakeholders. Logan Architecture has enjoyed successive long term return clients, many of whom have completed an extensive built portfolio of work with the practice spanning many decades. Logan architecture has the benefit of established strong links with multidisciplinary consultants such as town planners, engineers and certifiers to achieve the best possible integrated design solutions for each individual project. The practice has a proven record and knowledge in the administration and certification processes of building procurement that ensure the delivery of the project within time frame and budget. 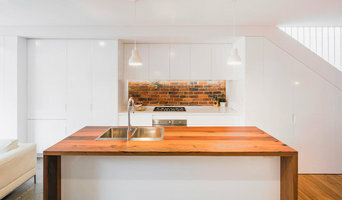 Zac Tooth Architect is based in Byron Bay and specializes in residential and commercial projects. We offer a complete suite of professional services including design, documentation and construction administration. Our design philosophy focuses on creating innovative and environmentally responsible design solutions. The studio's design process is characterized by teamwork and an intensive collaborative exchange with client and consultants. We offer a collaborative approach to design with a focus on client involvement, sustainability and lifestyle solutions to take advantage of our subtropical environment and create beautiful homes. Rosalie Stollery has been practicing since 1979 as a Sydney, North Coast and Byron Bay architect. Rosalie makes a promise to incorporate more than 30 years of experience into each design, creating an elegant, timeless aesthetic and an harmonious living environment that will nurture and sustain her clients. She has a fascination for spatial quality and strives to design spaces that slow us down as they unfold and help to reconnect us with our natural surroundings. Rosalie explores the benefits of pavilion style and courtyard houses incorporating passive solar design and easy indoor outdoor flow into her work. As a Byron Bay architect Rosalie s history as a much sought after designer in Sydney, rural and coastal areas combines to suit the essence of the area. Rosalie has studied feng shui both in China and Australia directly from the old masters making her one of Australia s leading feng shui architects. Her work as a Byron Bay architect benefits from this study through the optimum location and orientation of living spaces incorporated into her passive solar designs which are located harmoniously into the rural and coastal landscape. Her buildings sit with no guilt into the landform.